Camphill Village is located in a rural area of the Western Cape and currently contains 13 houses, a number of administrative buildings and small-scale enterprises. Operating since 1964 it is home to an average of 90 people with intellectual restrictions who live here in a protected yet dynamic society. The Village offers its residents the opportunity to bring in their individual abilities into eco-oriented operations (such as the bakery, the herbal shop, the vegetable gardens or the dairy) and to let them proudly take over responsibility for their contribution to the society. The products are in wide demand throughout the Cape region and represent an important source of income for the organisation. Rays of Hope supports Camphill Village since 2014. 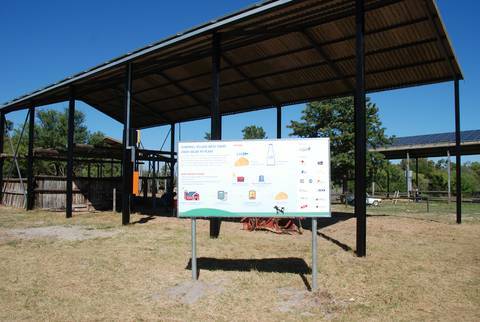 The organisational framework is set by the Masterplan CECE>2020 („Camphill Ecological Center of Excellence“) which was jointly developed in the early days of cooperation. Founded on a thorough assessment of the prevailing conditions its objective is to set the organization on solid financial grounds by the year 2020. This requires that the operational cost of the Village-based enterprises must be reduced, the efficiency of resource utilization must be enhanced, turnover and profits must be raised and the product portfolio must be critically reviewed and eventually adapted to prevailing market requirements. Simultaneously, marketing and sales activities must be improved. The necessary measures were interpreted into clearly formulated and closely coordinated projects. For their implementation sponsor support is continuously being invoked. RoH’s focus of support lies in the implementation of efficient and ecologically friendly Village infrastructure as well as the advancement of organic and sustainable cultivation methods. For the local acceptance of the Village and its social integration a close cooperation with the neighboring settlements is of utmost importance. To facilitate such interaction the Center will exchange lessons learned for instance in the fields of renewable energy use or improved farming concepts. Stability in its financial environment will allow the Village to provide more needy people with a secure home and humane treatment and create additional jobs for people from the region. Basis for infrastructure enhancements in the Village power supply are the results of a professional energy audit. RoH performed the conceptual planning and detail design of its project „Solar Rays“. A number of well-know sponsors from the solar industry came to its assistance during the phases of component sourcing and project implementation. In March 2014 a roof-mounted PV solar plant with an installed capacity of 20 kWp was installed followed by a ramp up in October 2015 to 65 kWp which are operated in conjunction with a dedicated battery bank. Here you find some impressions captured during the hand-over ceremony. The electricity produced supplies the dairy and thus forms an ecologic micro-cosmos, which allows the production of milk, yoghurt and cheese using renewable energy. Local solar experts and RoH members from Sieckmann Engineering who were instrumental in the phases of low-level design, commissioning and testing, professionally monitor the plant’s operation. During 2016, over 108 MWh of electricity were generated, resulting in average monthly savings on the electricity bill in the order of ZAR 6.000. In view of frequent breakdowns in the power supply by the national utility and the ever-rising tariffs, RoH aims at an off-grid hybrid power supply in the medium-term. 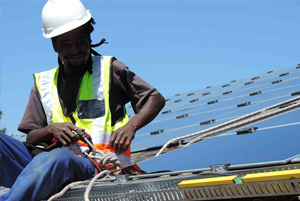 The installation of additional renewable energy capacity is planned. As one of the most pressing issues with short payback periods, the energy audit recommended the expeditious conversion of conventional lighting to LED technology. For the exterior lighting requirements, this measure has already been implemented. The Camphill dairy is currently only utilized to half of its production capacity. A higher degree of utilization requires a rise in the volume of milk delivery, which itself depends on the number of cows and the quality and size of the available grazing land. The restricting factor here is the irrigation water supply. Improving this situation is the objective of the project “Water Rays” for which RoH has obtained funding from the German Government’s Bundesministerium für Wirtschaftliche Zusammenarbeit und Entwicklung (BMZ). 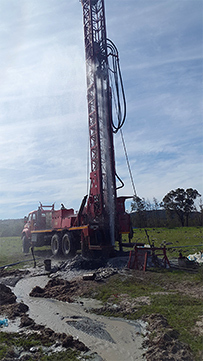 To counter the latent water shortage a new borehole was sunk, a submergible pump with the associated distribution piping was installed and 14 ha of additional grazing land were processed and fenced. As part of the BMZ sponsored project a number of measures – targeting a more efficient use of water resources – were implemented. They include for instance the installation of water meters in each of the care houses, re-use of grey water, water-stop devices in the showers and a water-use awareness training of the residents. Funds provided by Schmitz Stiftungen were used to prepare additional 4 ha of grazing land (including fertilizer, irrigation and fencing) as well as the purchase of 10 Jersey milk cows to bring the total count of the herd to 60. In 2016 two greenhouses with a floor area of 300 m2 including all components necessary for drip irrigation were commissioned. 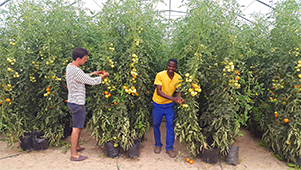 The organic tomatoes, cucumber, peppers and basil produced supply the high demand in the Cape region with great success. 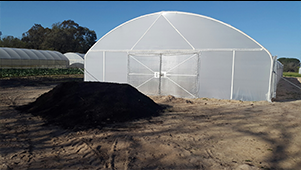 In 2017 RoH supplied two additional greenhouses thus allowing doubling the production. 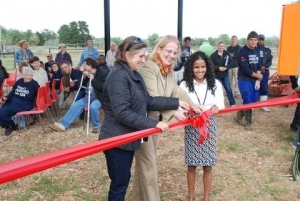 RoH is in contact with international agricultural experts to further optimize the methods for organic farming. Additional planning targets the large-scale plantation of new products such as Jojoba as well as modern irrigation methods tailored to site conditions.